One of the largest areas of Southern California's technology base is in the wireless and communications market. To get an idea of what one startup in the industry is doing, we spoke to San Diego-based AirHop (www.airhopcomm-web.com), a developer of software being used for small-, pico-, and femto-cell networks. We spoke with Yan Hui, the firm's founder and CEO, to learn more about the company. Thanks for the time today. First off, can you help us understand where Airhop fits into the 4G networking market? Yan Hui: We're providing software that actually enables 4G networks. In order to get the network to do what you want it to do, you have to provide it with intelligence. We go into the network to provide this intelligence. The problem we are trying to solve today, is that 4G networks, unlike the previous 2G and 3G networks, have lots of smaller cells. It's not the big cell towers that you see that are causing the issue. Instead, in order to provide enough bandwidth for the data that users are using every day, you are now seeing a lot more small cells, whether that is in the office, in the home, or in a hotspot on the street. To make these smaller cells work, the way you would traditionally operate and manage them are not going to be sufficient. Our software makes these things work. What makes individual telecom carriers decide they want to implement your software? Yan Hui: That's a good question. I think that more and more, the operators understand that they need advanced, intelligent technology to make it work. When I started in 2007, one thing we did even in the early days was engage with operators. We asked lots of questions, to validate the technology and understand the pain point. Even after three and a half years, they all have the pain point, especially as devices like the iPhone and iPad started to be introduced. However, just to clarify, our customers are actually the network equipment vendors. Operators don't have to buy software from us, but do see the need for the technology in their network. What's the story behind how your company came about? 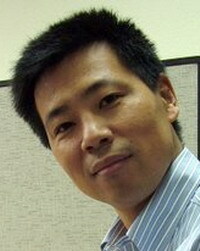 Yan Hui: I was actually at Texas Instruments, running an R&D group for quite a number of years. I worked at TI for more than 8 years, and before that I was at Nortel Networks building network base stations. At TI, we were one of the early guys doing HSDPA trial sin Japan. Back then, it was only 3.6 megabits per second, but traditional, big tower cell sites could not support the data rate or throughput when going more than 100 meters away from the center of the cell. We saw that very clearly in our trials. That was maybe in the 2003/2004 time frame. Over the course of that, we thought about what the solution might be. However, TI is a silicon company, and they are not focused on software. We thought the opportunity was so attractive, we decided to come out and do this ourselves. That's how we started, with the reason that cell sites were getting smaller, and although you still need a big tower to cover things for the sake of mobility, in order to provide sufficient data rates and throughput to users, you have to have smaller cells. We came out, started to develop technology to treat small cells as groups, and applied optimization technology to make sure it would have the capacity and optimization in real time, dynamically. That's not like before, where cell sites did not change their footprint. Has it been difficult being a software company in a hardware world? Yan Hui: On one hand, our software, because it is sitting on the protocol stack, is pretty platform independent and platform agnostic. On the other hand, you're absolutely correct, we have to work with platform vendors, to build things on their platform, with someone else's chip, and other software. However, I think we've been very successful in providing this layer of software. Plus, if you look back, we wanted to set up the company so that even as the technology evolved, we would not be commoditized. The RF, baseband, and protocol chips are all standards defined parts. They tend to be commoditized. We decided we did not want to build commodity hardware and software. There are plenty of other guys here or in Asia who can do that. What we wanted to do, was focus on the high IP content, where there is a high barrier to entry. That's the core of our strategy. Where are you in terms of deployment? Yan Hui: Our product line cover 3G. We started the company on LTE, and then figured out that 3G has lots of problems, and had a long lifespan left. So, we decided to do 3G, and started with 3G customers earlier this year. We demonstrated on a commercial, 3G femtocell at Mobile Congress this year, and are in trials with our first 3G customers, at two international operators. We announced our first LTE customer in May, at the LTE World Summit. We're also working with lots of LTE customers as we speak--today happens to be one of our deadlines to reply to an RFP from one of the big operators. You mentioned femtocells -- there's been some talk about how the market there has been slow to develop. How has that affected your firm? Yan Hui: That's a very good question. When we came out, our focus was small cells. If you look at how the market is segmented, we think the high end is a picocell. A picocell is something that an operator deploys in an enclosure that you can put on a light post, or which a cable operator can deploy. The second thing we wanted to do, was the enterprise. That's somewhere between a femtocell and an indoor picocell. You want to support more users, and you're not the operator. It's a hybrid, in some sense. Then, there is the residential femtocell, which is large volume, the cost has to be low, and there is lots of volume. When we entered the market, we realized that although residential femtocells were coming, there was a delay in everything, and in reality, only small cells are being deployed today. So, we've been keeping our eye on other segments. After February, we started seeing operators serious about picocells on LTe. We haven't seen an LTE femtocell yet, but we've seen a number of RFIs and RFPs for LTe picocells. Anyway, to answer your question, the delay in residential femtocells has certainly had an impat, but on the positive side, has bought us time to mature our technology and put that into picocells and the enterprise. Finally, what do you think will be the tipping point for your technology? Yan Hui: We think the biggest thing will be when small cells are deployed in number. We think that when operators start deploying LTE picocells, enterprise indoor picocells, or bigger femtocells, is where the tipping point where a network really can't operate without our software. That's why we are trying to be in all of those deployments today. From a network and wireless ecosystem point of view, we're already past the point where traffic from the iPhone can cause the AT&T network to collapse. Your network problems are not going to get better. And, LTE compared to HSPDA only improves your capacity by two times. Data is just going to get worse, and as we're talking to operators often, the network problems are only going to get worse and worse. That's good news for a company like us, because we have technology which solves that problem. For us, the deployment of LTE and small cells will be the next big thing, and over the next three to six months we hope to announce more customers and participate in more trials.